The Presidential Council for Civil Society and Human Rights is a consultative body that assists the President in exercising his constitutional authority in the area of protecting human and civil rights and freedoms. Today, we bid farewell to Lyudmila Alekseyeva. I think each of you will agree with me that she was a radiant, courageous and strong person. She fought for justice as her conscience dictated. For many years, Ms Alekseyeva participated in the work of our Council, was among us, did a lot to make the Council an authoritative body, and did a lot for the country. I ask you to honour the memory of Lyudmila Alekseyeva with a minute of silence. This is the first meeting of the Council after the planned rotation. Over a third of its members are new. I welcome all of you: colleagues with whom we have been working for more than a year, and those who will find new opportunities for promoting the development of civil society and protecting the rights of citizens here in the Council, which I am very much counting on. The Council includes prominent people, human rights activists, and representatives of a much younger generation. All of you have proved in practice that you can assert your position and defend the interests of civil society. I also want to congratulate all of you on a significant date which is the 25th anniversary of our Council. Your work today is even more significant and relevant than when the Council was created, because today we face new ambitious tasks outlined in the May Executive Order related to the country’s national development goals for the next six years. I would like to emphasise that the main thrust of the reform is improving living standards, developing the economy, science and advanced technologies. Achieving concrete results in these areas must be geared primarily to the benefit of our people. At the heart of all our national projects are people but there is something I would like to add in connection with this. All these efforts to transform the country, the new technologies and the new ambitious projects must, of course, go hand in hand with the development of society and the growing maturity of the state. Of course, while addressing the overall objectives for achieving a breakthrough, we should not allow a situation where individuals with their everyday concerns and needs are forgotten about. The Council’s mission today is to help the government and society keep a close eye on these matters. Colleagues, the Council always takes a pro-active position whenever there is a blatant violation of the rights of Russian nationals, our compatriots, including in other countries as well. Defending the rights of the Russian nationals wherever they happen to be, in any spot on the globe, is our common task. I expect you to come up with your carefully thought-out and constructive proposals to make our joint efforts here effective. Next, I would like to say that the key activity the Council has to engage in is facilitating the development of civil society. 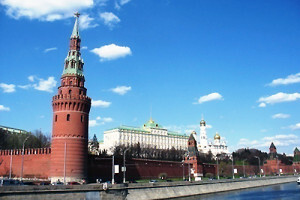 As a matter of fact, this activity is indicated in the very name of our Council and we have to address quite a few challenges, all the more so as in recent years Russian society has become much more energised while public opinion, with the rise of modern means of communication, is becoming an increasingly potent and effective force. The Council must remain an open and effective forum for discussing and resolving any issues, including, of course, the so-called high-profile topics. I believe some of these topics we will also discuss today. Let us begin our work. Mr Fedotov, please, go ahead.